After creating your document parser, it's time to upload some sample documents. You can click on the upload box and navigate to your documents on your computer. 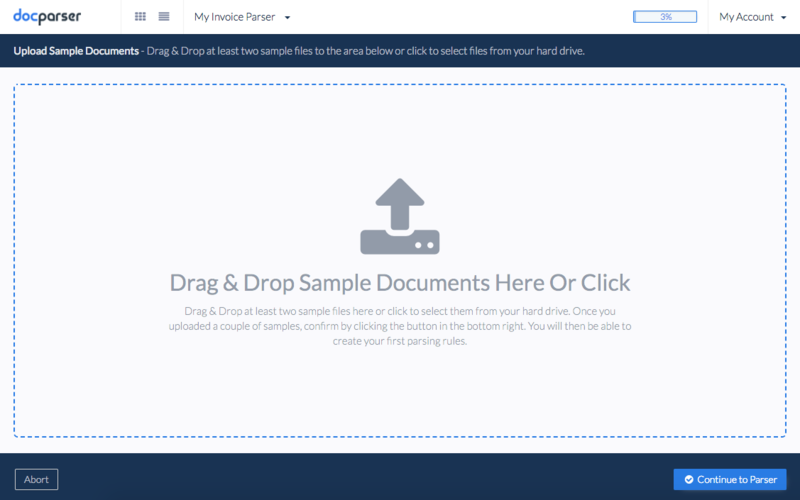 You can also drag and drop files into the upload box. Wondering how you can fully automate the import of future documents? Check out this article on the different options for importing documents to Docparser.